André Brink is one of the world’s major writers – and has been so for several decades. He is best-known as a novelist, but has also distinguished himself as a lecturer, poet and essayist. An homme des lettres of the kind that are far and few between in South Africa, his fascination with language can be felt in all his writings. Brink has written so widely that it is impossible to capture in one sitting anything but a brief glimpse into his world of ideas, but it was nevertheless a greatly satisfying experience to hear him speak so fluidly about language and culture, “translation as rewriting”, and the necessity of adopting English after his banning by the Apartheid authorities. 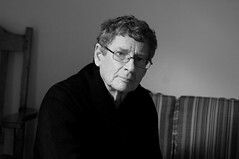 Brink draws from a very wide circle of influence, but it is quite clear that he regards himself first and foremost as a South African writer – one who has experienced both the exilharating discovery of new worlds and the claustrophobic boxing-in of Apartheid, which sought, at its most basic level, to deny experiences other than those dictated by its segregated, racialised norm. Brink has been widely honoured for his writings and he has received numerous literary prizes. Instances of recognition include: An Instant in the Wind (1976) and Rumours of Rain (1978) were both shortlisted for the Man Booker Prize; and The Other Side of Silence (2002) won the Commonwealth Writers Prize for Best Book – Africa in 2003; Brink he received France’s highest honour when he was made a Commander of the Order of Arts and Letters and awarded the Legion of Honour by the French government; and in 1992 he was awarded the Monismanien Human Rights Award from Sweden’s University of Uppsala, for making known the injustice of apartheid to the wider world.